(SPOT.ph) It’s easy to get lost in the hustle and bustle of city life. You tend to miss out on a break or two when you’ve spent all week shuttling between buildings, stuck in streets full of traffic jams. Sometimes, all you need is a quiet and refreshing spot away from your usual environment. The next time you find yourself planning a quick weekend getaway, make sure you add these 10 local parks to your itinerary. 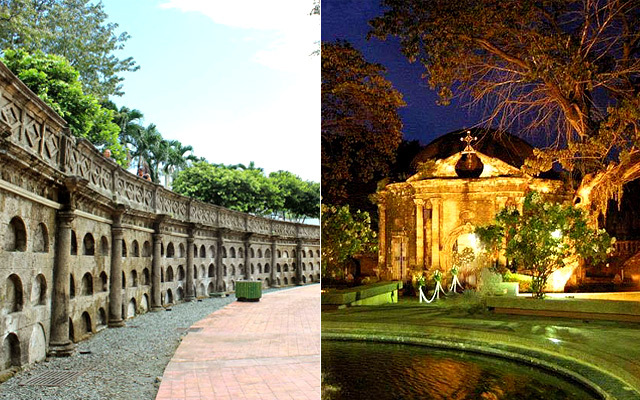 Only one jeepney ride away from the walled city of Intramuros, this historic park was actually constructed as a cemetery. The famous Gomburza trio was interred here after their execution, as was Jose Rizal before his remains were exhumed and moved to the Rizal monument in Luneta Park. Nowadays, you’ll find weddings being held at the small chapel at the rear of the park, prenuptial shoots on the grassy grounds, as well as friends and families strolling about. Their concert series is currently off-season for July and August, but keep an eye out for their return this September. Entrance fee to the park is P10. 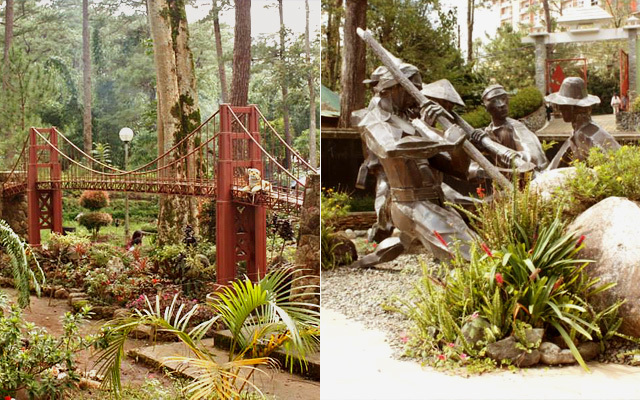 A park celebrating the culture and traditions of the Cordillera tribes, the Baguio Botanical Garden is also called the Igorot Village. You’ll receive a warm welcome at the entrance from a group of Igorot natives garbed in their traditional attire. Aside from the tall trees and flower selection you’ll see along the pathways, you’ll also find a Japanese tunnel built by the Japanese during World War II. Marked by the huge red torii gate at the mouth of it, the tunnel is accessible to visitors. You don’t have to go far to buy souvenirs, either. There are stalls selling locally made products near the garden. Entrance is free. Even though the park isn’t set for completion until 2020, it already has an astounding 145 tree and plant species from around the world. They’re well on their way to reaching their goal of 2,000 species. You can climb the cemented pathways up the hills towards the multiple gazebos and spacious open areas for meet-ups with your friends. The gentle breeze and the shade from the trees also make the perfect setting for a nice family picnic. Keep tabs on this park because they’ll be opening a zip line as well as biking and hiking trails soon. Entrance is free. With all the attractions available at Pasonanca Park, you won’t know where to begin. For nature lovers, there is a butterfly garden with over 600 species of orchids and an aviary with peacocks and pheasants. The park also has a total of three (yes, three!) public pools—an Olympic-sized pool, a kiddie pool with slides, and a natural flowing pool. A favorite for visitors would be the metal teepees built for those participating in the youth training camp. But the most famous attraction would be the treehouse, which you can rent for a small fee. Entrance to the butterfly garden is P10 while the entrance to the aviary is P5. Entrance to the park is free. 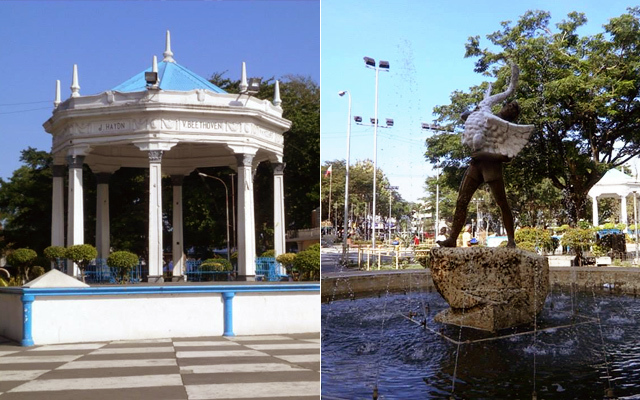 Officially called Plaza del 6 de Noviembre, the Bacolod landmark is named after the day the Spanish government gave up Negros Island to the revolutionaries. The trapezoidal plaza is lined with trees at the side, along with four fountains where you’ll usually find locals leisurely spending their afternoons. Bands and dance groups use the main pavilion in the plaza during celebrations as the large area covered by the park makes it the ideal venue for the culmination of the popular Masskara Festival every year. Entrance is free. Named after its resemblance to a kawali or cauldron, Kawa-Kawa Hill is often called “the hill without a hilltop.” Some say that it was hit by a meteor, resulting in its cratered and concave top. Others say that it’s a dormant volcano. 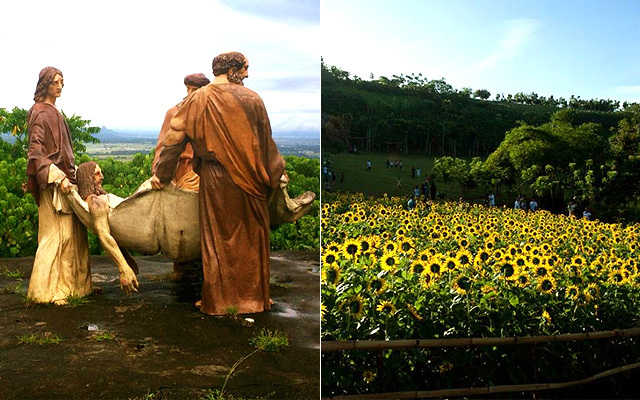 Make your way up the hill guided by the Stations of the Cross complete with statues of Jesus and the apostles, or spend your afternoons taking countless photos at the hillside sunflower farm. You can also go horseback riding. Their pineapple farm isn’t open for visitors, but you can still buy fresh pineapples to bring home after a long day of fun activities. Entrance is free. 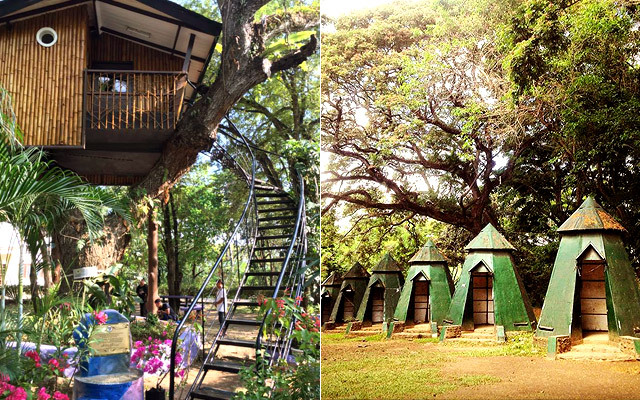 Just an hour or two away from Manila, Clark is always a go-to for a nearby escape from city life. Air Force City is a great place to spend lazy afternoons with your loved ones (you can bring your pets too!). 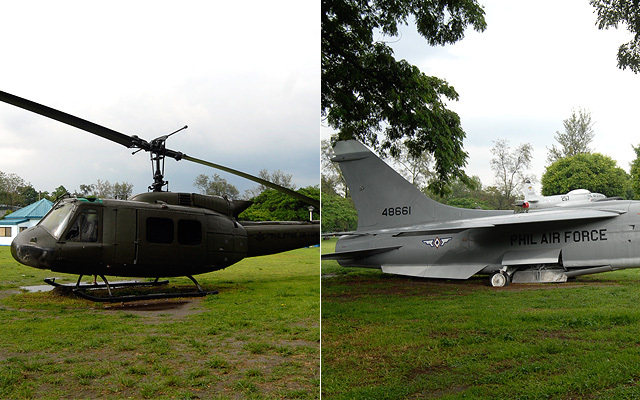 Take photos by the aircrafts on display in the wide field. Bring some food to eat on the grassy park grounds. You can even play games while you’re at it. Just don’t forget to bring your umbrellas as the open space means there’s not much shade around. Entrance is free. 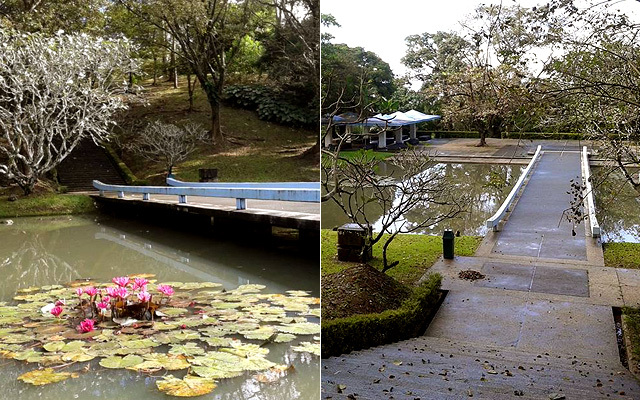 Situated along Lake Caliraya sits the Japanese Garden and Memorial Park, which is around 11 hectares big. It was built by the Japanese government to honor the fallen Japanese soldiers in World War II. You can lounge around on the numerous park benches and have a beautiful view of the lake. 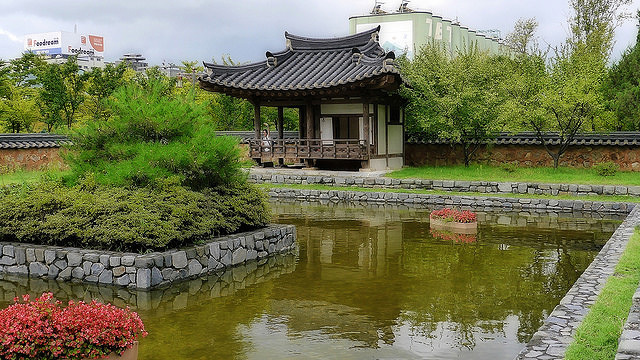 Just sitting around the serene and calming garden would immediately make you feel at ease. If you’re a history junkie, it’s rumored that this is where the lost treasure of General Yamashita is hidden. Entrance is free. 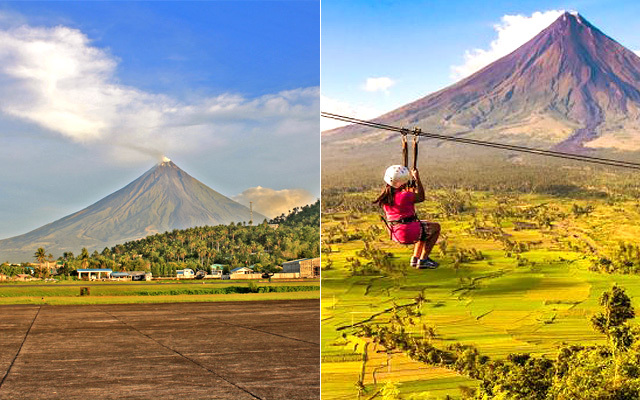 Get a panoramic view of Legazpi City on this hill that also houses a PHIVOLCS observatory. But if you want to get the best possible view, you have to be up on the hill early in the morning to witness the sun rise from the Albay Gulf. The sunset’s pretty picturesque too, complete with the city lights that dot the early evening sky. 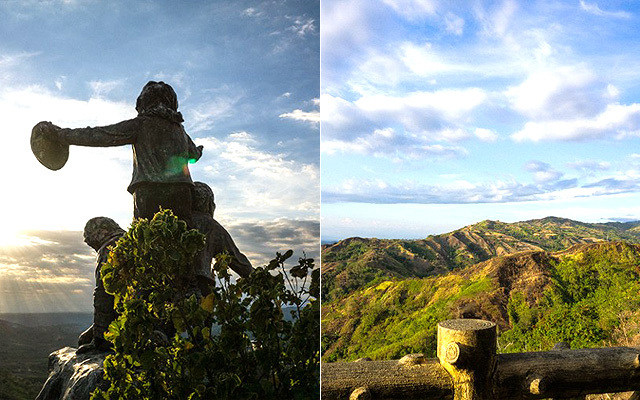 Beyond the views, Ligñon Hill offers adventurous options not for the faint of heart. They have a zip line, hiking and biking trails, rappelling, and even paintball. They also have the Japanese Tunnel for visitors who want to go through a 50-foot tunnel that's only three feet high. There’s a little bit of something for everyone here. Entrance to the hill is free. 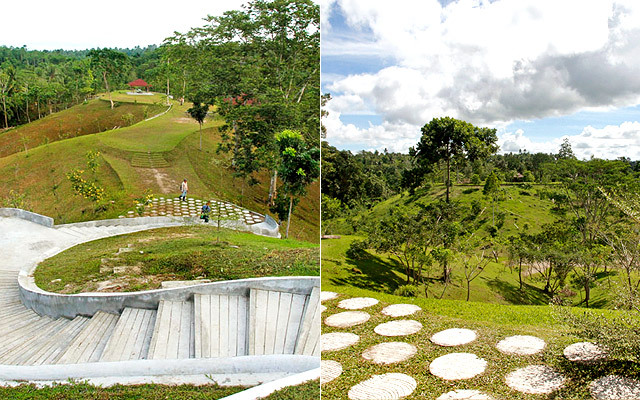 Bukidnon is known for its massive mountain ranges and there’s no better view than what this small and quaint park has to offer. Don’t be fooled by its surprising location in the middle of the highway since it serves as a rest stop for those taking a long drive from Bukidnon to Davao. Plus, its location makes it the ideal place to look at the winding roads beside the lush greenery of the mountainside. You can also spot a few statues of indigenous peoples and their traditions. Entrance is free.